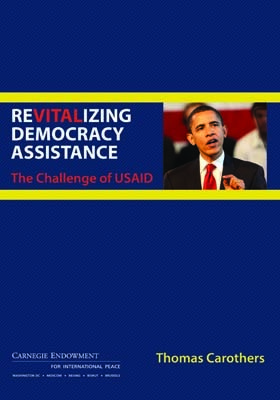 USAID—the largest source of U.S. democracy assistance—requires deep-reaching reforms if the Obama administration hopes to adequately address challenges to democracy around the world. Democracy is largely stagnant in the world and a growing number of governments exhibit hostility toward international democracy aid. Faced with this daunting context, President Obama and his foreign policy team have so far moved only cautiously to formulate an approach to democracy promotion. Tackling longstanding problems with the basic structures of U.S. democracy aid would boost this effort. As the largest source of such assistance, USAID is an obvious starting point for deep-reaching reforms. With the Obama administration having launched major reviews of development policy, a critical juncture exists for substantial reforms of USAID and other key actors in U.S. democracy assistance, a domain that now consists of $2.5 billion a year of aid programs in more than 80 countries. Although USAID has a long record of positive contributions to numerous democratic transitions, its accumulated institutional woes lead to democracy aid efforts that fall short due to lack of flexibility, stifled innovation, and lack of institutional commitment. Fixing USAID’s shortcomings will require determined, focused leadership at USAID, with active support from Congress and the Obama administration. As Congress and the administration take up the larger overhaul of U.S. development policy generally, they should not neglect the domain of democracy and governance support. Fight bureaucratization: The crushing bureaucratization of USAID’s democracy and governance work must be reversed through a comprehensive series of reforms that simplify the procurement process, eliminate duplicative layers of oversight, reduce reporting requirements, and improve the evaluation process. Bolster local ownership: USAID should build more flexible funding arrangements with its implementing partners that encourage genuine partnerships with local groups and increase direct funding to local organizations. Strengthen the place of democracy and governance work within USAID: Ensure that democracy and governance is fully supported as an institutional priority and is well-integrated into other areas of foreign assistance, through clear leadership commitment at the top and numerous steps at other levels, such as strengthening the Office of Democracy and Governance and following through on new training commitments.